This is to inform all students, schools, principal, parents, guardians who wish to purchase the 2018/2019 NECO SSCE May/June form that the form is now on sale, interested candidates are urged to rush and pick up their form before closing date, Please follow the registration guidelines below to purchase your form. 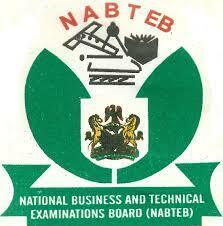 The NECO is an examination taken by candidates in their last stage of Secondary School Education. The SSCE is in two categories. One is for candidates in the third and final year of their senior secondary education and it is called SSCE Internal while the Second is SSCE External and is for candidates not in the School system, i.e. Private Candidates. Principals/Commandants of Schools are hereby informed that only candidates in their final year of the Senior Secondary School (i.e. SS3) are eligible for registration. For the avoidance of doubt, the June/July 2018 SSCE is meant for only school based candidates in Nigeria and overseas. It is not meant for private candidates. Principals/Commandants of Schools and Ministries of Education should endeavor to enforce the eligibility condition. - Offline and Online Registration. Schools are expected to follow the guideline/instructions explaining the various steps on how to go about the two stages of Registration Procedures using the Compact Disc (CD-Rom). School Principals/Commandants are to collect CD-Rom from NECO Offices in their respective States as from Monday 16th January, 2018. Registration fee for 2018 June/July SSCE is N11, 350.00 (Eleven Thousand Three Hundred and Fifty Naira) only per candidate. 3. COMPLETION OF ENTRY SCHEDULE AND PURCHASE OF ONLINE SCRATCH CARDS. (a) Entry Schedule will no longer be filled manually. The print-out from the Offline Registration will serve as Entry Schedule and submitted at point of purchase of online Pin Number/Scratch Cards. (b) Online Pin Number/Scratch Cards are to be purchased at respective NECO State Offices. i. Evidence of payment made into NECO Treasury Single Account (TSA) from any of the Commercial Banks for the total number of candidates presented. ii. The printed Entry Schedule dully endorsed by the State Ministries of Education. (d) Items i, and ii above should be submitted latest by 15th March, 2018 to be able to collect online e-Registration cards. (f) All schools (Except Federal Government Institutions) must have their printed Entry Schedules endorsed by the relevant Department of the State Ministries of Education. Private schools are not exempted from this condition. (g) Schools are to print-out Subject Summary/Analysis after completion of Registration and submit a copy along with other documents to the State Office. (h) Schools should endeavor to monitor their registration process properly to minimize errors. The minimum number of candidates to be registered by a school is 20 (Twenty). Any school registering less than twenty candidates shall pay a surcharge of N40, 000.00 (Forty Thousand Naira) Only. Schools shall download their Photo Albums online. School Principals/Commandants shall return a copy of the downloaded online data of registered candidates to NECO Office in their respective States as this will serve the purpose of Validation List. Schools should therefore make sure that they effect all corrections before submitting candidates’ data online. The printed validation list must be endorsed by the School Principal and Examination Officer. (a) The registration period starts from Monday 16th January, 2018 to Wednesday 18th April, 2018. (b) The website will be closed on Wednesday 18th April, 2018 at 12.00 midnight. Late registration will not be entertained. (c) The last date for the return of downloaded data of the registered candidates by schools to respective NECO State Offices is Monday 3rd May, 2018. During the offline registration and later upload the 3rd year CA using the back-up template saved during the offline registration. (Uploading the 3rd year CA should be from 4th April to 16th May 2018, Please note that 3rd year CA will no longer be filled manually). (a) Collection of Compact Disc (CD Rom) by schools as from Monday 16th January, 2018. (b) Last date for online registration by schools Wednesday 18th April, 2018. (c) Last date for submission of downloaded copies of online registration data by schools to State Offices, Monday 3rd May, 2018. (d) Last date for submission of downloaded copies of online 3rd year Continuous Assessment of candidates by Schools to State Offices 23rd May, 2018. The minimum number of subjects a candidate can sit for is eight while the maximum is nine. All Senior Secondary schools in the Federation present Candidates for the SSCE Internal. To be able to Register Students for NECO examinations. You must obtain your Free Operator ID code by registering with NECO.